HVSU of Tulsa is proud to offer affordable wheelchair van rental. 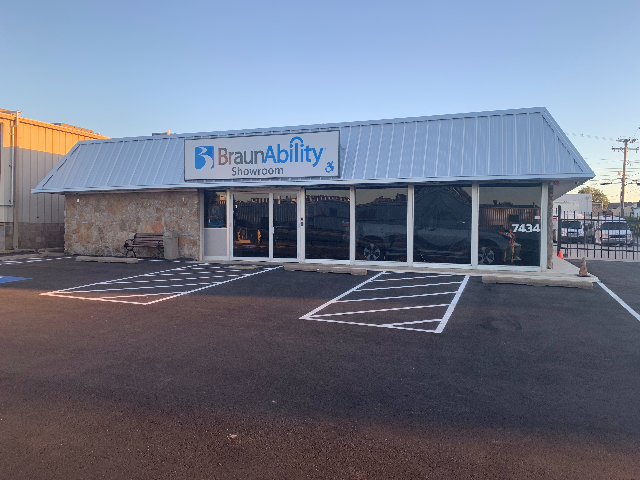 We have a fleet of rental vehicles that are wheelchair accessible and we are conveniently located just minutes away from Tulsa International Airport. Discuss airport pickup arrangements with our rental agent when you reserve your wheelchair van. Requirements for renting an accessible van are a Current Drivers License, a Major Credit Card in the the name of the Licensee and Proof of Insurance. We offer Collision Damage Waiver if Renter does not have insurance; ask our rental agent for details when you reserve your van. We are open for rentals Monday thru Friday with a key dropbox available for weekend or holiday returns. We offer half day rentals for medical appointments and other short outings. The rental agents will be happy to discuss all options with you. Call (918) 622-8400(918) 622-8400 to speak to a Rental Agent or complete the form below. Our rental agents are helpful, totally knowledgeable and eager to assist you. Call us at 1-800-580-7311 for the information you need. They will have answers.